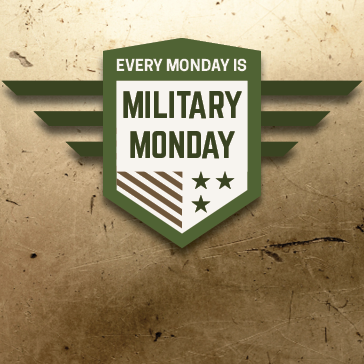 Every Monday is Military Monday! Must show a Military ID or DD Form 214 to receive the discount. Not valid for league, tournaments, or special events.